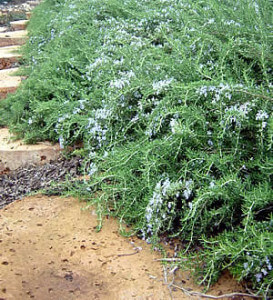 This long-lived accent plant grows slowly to form a dense rosette of silver-blue foliage, to 4 feet tall and wide. 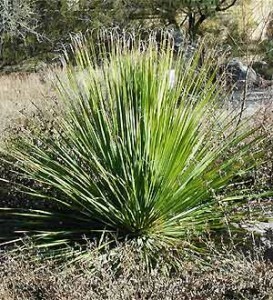 Desert Spoon develops a stout, short trunk with leathery leaves that have teeth along the margins. The spoon-shaped base gives this plant its name. 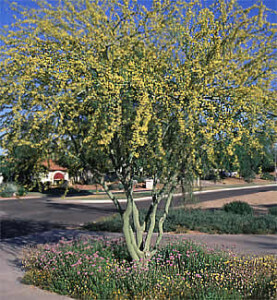 Desert spoon will eventually produce a narrow, tall spike of small tan flowers. 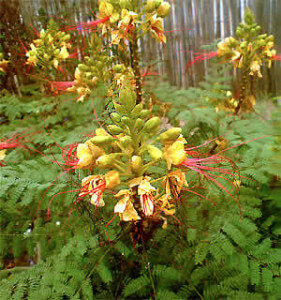 The flower spike can reach a height of 10 to 15 feet. Desert spoon is native at elevations from 3000 to 6000 feet in southern Arizona. 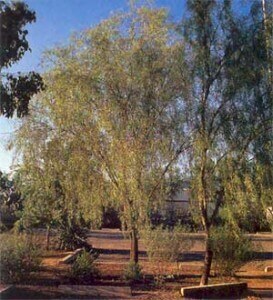 Desert Spoon thrives in full sun and reflected heat and even tolerates some shade and humidity. Plant in soil with adequate drainage. Use extreme caution when handling desert spoon, as the sawtooth leaves can easily cause cuts. Desert spoon has excellent, natural form and never needs pruning to shape. Water established plants every two weeks in summer, every month in winter.